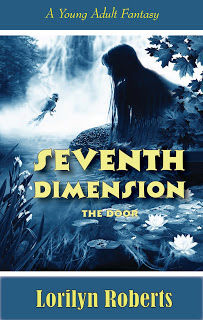 The Door is the first book in the Seventh Dimension Series that combines contemporary, historical, and fantasy elements into a Christian "coming-of-age" story. A curse put on Shale Snyder, because of a secret, shrouds her with insecurity and fear. Following suspension from school, Shale's best friend isn't allowed to see her anymore and she feels abandoned by her family. When a stray dog befriends her, she follows it into the woods. There she discovers a door that leads to another world—a garden with talking animals, demonic underlings, and a king unlike any other. Can Shale overcome her past, defeat the underlings, and embrace her eternal destiny?